Nothing better than seeing the Royals shut out the Tigers on a 4000 degree day in mid-July, right, grumpy baby? Things slowed down as summer officially began. Not a lot of news fit to print. (Besides the KC Royals making an honest to God playoff run, that is. That 4% chance of making the post-season they’ve been nursing the past month or so has brought me a not small amount of joy.) [EDIT: We also won 7th place in Dole’s Taste of Spain sweepstakes, which includes a free Bag o’ Salad. So the winning streak continues.] A lot of this was by design to savor a couple things that will be in short supply next summer–cash and family time. Inkubate did select the winners of their Literary Blockbuster Challenge. Although part of the long-list of finalists my work was not selected as one of the cash winners. Apparently they are sharing my work with a group of participating agents and editors, so there’s that. I also finished the rewrite of my novel and am now hard at work in the revision of the rewrites. All in all I’d declare the multiple POV experiment a success. A main thread emerged through the character of Karel, a nine year-old boy when the novel begins. I’ve never done much with child characters in my work before–with a notable exception coming when “How to Die Young in a Nebraska Winter” was published in The Kenyon Review in 2011–and it’s turned out well. 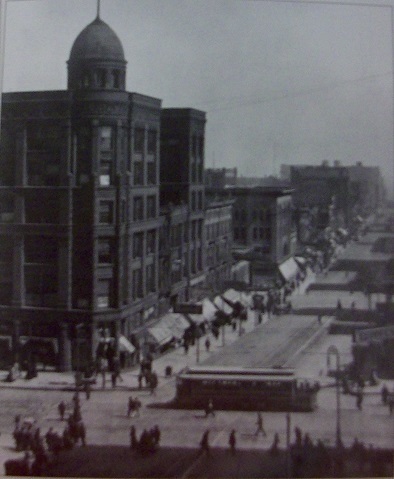 An excerpt from The Uninitiated will appear as “River Ward, 1917” in Boulevard soon, so keep an eye out for that. “That night Karel turned on his lamp, just briefly, to take off his shoes and tuck them safely under the mattress. He was a bit drunk and didn’t feel like sleeping right away. At the same time he was too anxious of himself to join the boys at the loud end, so he sat for a while to think about his predicament. He wished that the feeling he created on the baseball diamond when he played ball followed with him once he made it home, but this couldn’t be so. There was too much weight in familiar places. The stuff about his mom he didn’t want to believe. What happened with Braun, the demise of SOSA; and not long after Jacob being ran out of town in disgrace, a thug, a thief, good riddance. And Anna. Karel could do nothing to change what had happened to Anna, and what would. The Piano Teacher by Elfriede Jelinek, translated by Joachim Neugroschel. In preparation for my trip to a German arts organization next summer I’ve been acquainting myself a bit with the German-language canon, so as to not appear so much as a self-centered, hegemonic American jerk. The Piano Teacher was really great. I’m not sure that there’s anything so formally striking about it, but the close, close POV (even when split) was remarkab ly well done, and wonderfully hard to read at times, and the evocation of Vienna in the 1980s very engaging. 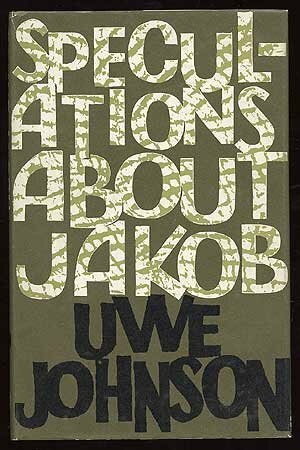 Speculations About Jakob by Uwe Johnson, translated by Ursule Molinaro. I’d never heard of this book before, but I’m grateful I came across it and picked it up. Originally published in German in 1959 (the English translation went public in the US in 1963) Johnson provides a striking panorama of what life was like in East Germany in the 1950s, at the time of the Hungarian Revolt–and, more importantly, what East Germans thought of West Germans and why not all East Germans dreamed of becoming refugees in the West. While the style of the narration–multiple, often overlapping points-of-view–can be challenging, the book is a masterpiece. Very highly recommended. Amerika by Franz Kafka, translated by Willa Muir. This unfinished novel is kind of known for being factually inaccurate–what? you didn’t know that the Statue of Liberty held a giant stone sword?–as Kafka never traveled to the United States and was kind of writing by the seat of his pants as far as research went. It’s still a pretty good novel, although not always very Kafkaesque, surprisingly. This being one of his earliest works, you can tell he was still feeling out his style by writing what is basically a pretty conventional travel story, at least in the beginning. Things get a lot weirder towards the end. The Joke by Milan Kundera. It’s kind of interesting to read the so-called “lesser” works of such a well-known author, since it can be hard not to give the novel its own treatment, rather than reading everything through the lens (or in comparison) of The Unbearable Lightness of Being, in this case. So while The Joke is a very good book, I seemed to appreciate it less in the beginning because it wasn’t THE Kundera classic. That being said, The Joke offers its own pleasures. It’s a little deeper experience in some ways, more focused on single events and the ironies of the characters as their plots intertwine. 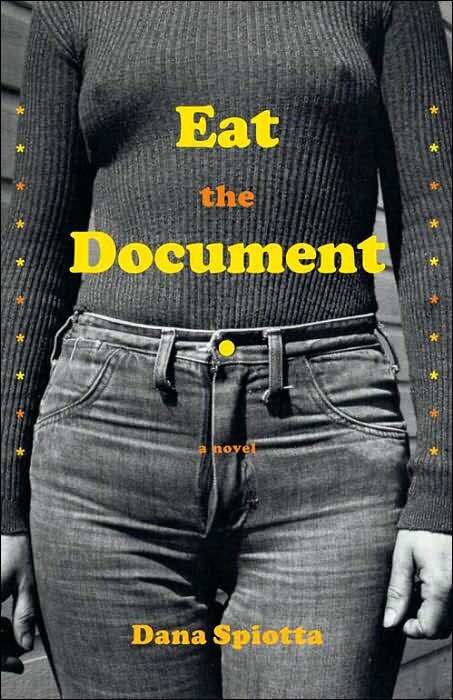 Eat the Document by Dana Spiotta. A finalist for the National Book Award, Spiotta’s 2006 novel is highly entertaining, and pretty spot on in its portrayal of activist and outsider culture in the United States, both in the 1970s and the early 2000s. I kind of cringed reading the sections set in 2003, remembering how some of my friends and I worked so hard to craft political consciousness through fashion. A lot of times I take issue with novels that try to depict aspects of my generation, particularly if they hit close to home, as everyone does, I’m sure. But Spiotta’s writing is so sharp, her points so precise and intuitive, there really wasn’t much to argue about. The Assassination of Jesse James by the Coward Robert Ford by Ron Hansen.